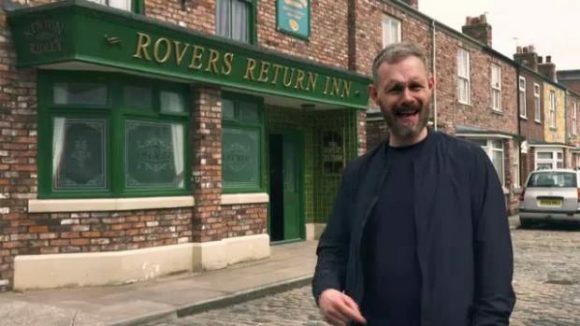 Despite a month-long publicity build-up, Sunday’s Coronation Street recap special didn’t win its slot in the core commercial demographics. The two-hour broadcast compressed 18 months of key storylines to bridge the gap between Friday’s primetime episode and tonight’s. It spearheaded TVNZ 1’s massive catch-up with the UK, which continues this week with the network screening an hour-long edition every weeknight at 9.30. Programmers who mapped out this extraordinary strategy would have been disappointed last night’s springboard averaged only 3.6% of the soap’s target audience, 25-54 year-olds, and 2.8% of 18-49 year-olds. It did top the national ratings, with 5.8% of viewers aged 5+, and it out-rated TVNZ 2’s premiere of The Nice Guys in the 25-54 and 18-49 demos, but it fell flat against Three’s repeat of Pitch Perfect, which got a half-hour head start. PP averaged 5.3% of 25-54s and 4.2% of 18-49s off the back of Dancing With the Stars’ respective demo averages of 7.2% and 5.7%. The opening half-hour of DWTS lost against 1’s Hyundai Country Calendar but the rest of the show topped Sunday and 2’s Survivor NZ: Thailand. DWTS will face a fiercer challenge tonight, against the premiere of TVNZ 2’s reality strip, Heartbreak Island. Like taking years to recognise that viewers wanted TVNZ to hold digital rights for more than 28 days, TVNZ have probably alienated its target audience so much that they’ll never bother to return. Trevor is a case in point. I mean, losing the slot to a movie re-run? Re-running movies in primetime has got to be more economic than bothering to buy first-run rights of … just about anything. Its target audience dying off has played a part in it all, too. In fact there’s many reasons. For so long, Coro was seen as a show for old people and wasn’t accessible to a younger generation, who by and large gave it a wide berth. We also as a country don’t have that same connection we once did to England.